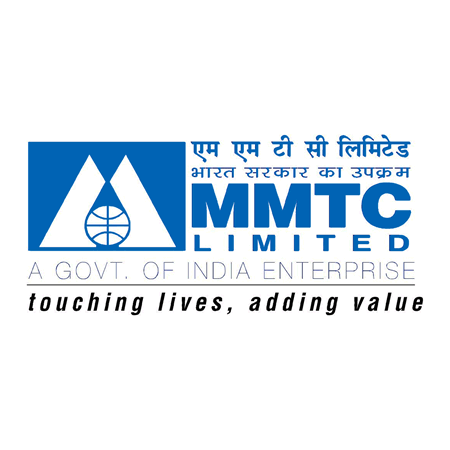 MMTC Recruitment 2019 - Below are various recruitment notifications published by MMTC Limited - Metals and Minerals Trading Corporation of India / mmtclimited.com. As of now, we don't have any active recruitment notification by MMTC featured here. We may update as soon as the organization announces a new job notification. If you are looking for any information related to previously organized recruitment drives by MMTC, you can browse through previous job notifications mentioned below and get the new updates or information you are looking for. MMTC Recruitment 2019 - Apply Online for 26 Dy Manager Posts in MMTC, New Delhi on Direct Recruitment. Online Applications are invited by MMTC Limited - Metals and Minerals Trading Corporation of India from 30 Jan 2019 to 20 Feb 2019 till 11:45 PM for 26 vacancies. MMTC Recruitment 2018 - Job notification for 26 Deputy Manager Posts in MMTC, New Delhi on Direct Recruitment. Applications are invited by MMTC Limited - Metals and Minerals Trading Corporation of India on or before 24 Aug 2018 (Extended till 15 Sept 2018) for 26 vacancies. MMTC Recruitment 2017 - Latest job notification for Deputy Manager (General) Vacancy in Delhi. Applications are invited by MMTC Limited - Metals and Minerals Trading Corporation of India on or before 09 Oct 2017 for 1 vacancy. MMTC Recruitment 2017 - Latest job notification for Consultant Vacancies on Contract Basis. Applications are invited by MMTC Limited - Metals and Minerals Trading Corporation of India on or before 19 Sep 2017. MMTC Recruitment 2017 - Latest job notification for Insurance Consultant Vacancies in New Delhi on Contract Basis. Applications are invited by MMTC Limited - Metals and Minerals Trading Corporation of India before 08 Aug 2017. MMTC Recruitment 2017 - Latest job notification for Manager & Dy. Manager Vacancies in New Delhi. Applications are invited by MMTC Limited - Metals and Minerals Trading Corporation of India before 18 Aug 2017 for 4 vacancies. MMTC Recruitment 2017 - Latest job notification for Head, General Manager & Deputy General Manager Posts in New Delhi. Applications are invited by MMTC Limited - Metals and Minerals Trading Corporation of India before 07 Aug 2017 for 3 vacancies. MMTC Recruitment 2017 - Latest job notification for Industrial Training Opportunity for CA Students. Applications are invited by MMTC Limited - Metals and Minerals Trading Corporation of India before 10 May 2017.